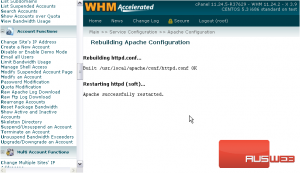 If an account’s information is removed from the Apache configuration files, it will be marked in cPanel as inactive. 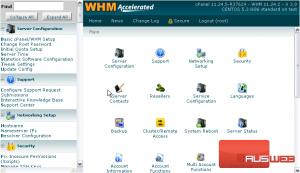 There is a tool in WHM that allows you to fix all inactive accounts. 1) Find the Account Functions. 2) Click Show Active and Inactive Accounts. All accounts in the Apache configuration file will be listed here as an Active Domain. If there are any inactive domains, they should show up here, too. 3) To reactivate any inactive domains, click this link. Apache’s configuration file, httpd.conf, has now been rebuilt to include any previously missing accounts. This tutorial is now complete. 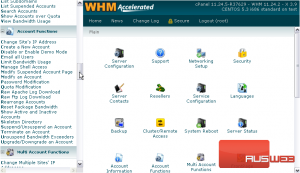 You now know how to fix inactive accounts in WHM.